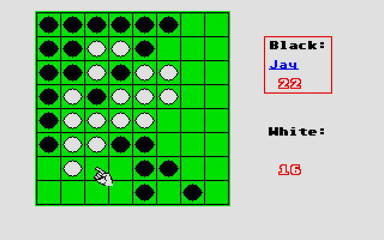 Othello (or Reversi) is a board game for two players where each takes it in turn to place a counter on to the board in such a way that it 'captures' one or more of their opponent's counters. The winner is the player with the most counters when the board becomes full or neither player can make a move. This version for the ST allows you to play against another human or the computer.